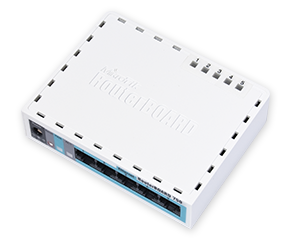 RouterBOARD is the hardware platform made by MikroTik. Our routers are powered by the powerful RouterOS software. 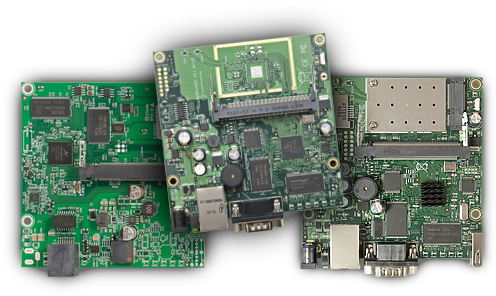 RouterBOARD routers are used by ISPs, integrators, system builders and large corporations around the world. 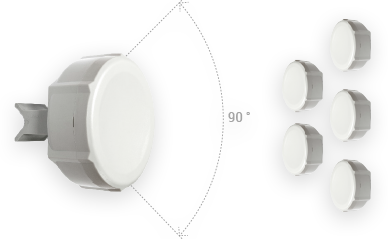 The Sixpack is a set of six devices - one 90 degree Access Point and five clients. This offer gives you a complete starter kit for a wireless ISP setup. An entirely new class of product in the RouterBOARD lineup, the RB750 is a small five port ethernet router in a nice plastic case. Not only is this an attractive looking tiny SOHO unit, it’s price is lower than the RouterOS license alone - there simply is no choice when it comes to managing your wired home network, the RB750 has it all.